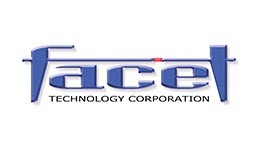 Facet is a cutting-edge company with a strong technical history and significant accomplishments delivering services and software. Founded in 1999, Facet has been awarded over 20 US Patents, and our founder Jamie Retterath is a research scientists in graphics and image processing hardware and software. Facet helps all levels of transportation government federal, state, county and municipal governments solve their problems by combining excellent technical capabilities with a top-tier services business. Facet customers are around the US and North America, and Facet has driven over 1,500,000 miles of roadside Image + LiDAR capture. A few notable Facet projects include routing and mapping the city centers of 120 US cities and performing high resolution image capture for points-of-interest in those cities.